Woohoo! It seems like Ranbir Kapoor – Sanjay Dutt association will not die not anytime soon. 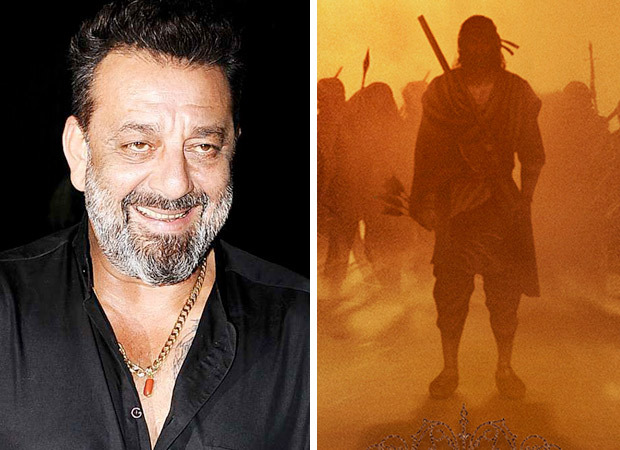 Yash Raj Films just confirmed that they have roped in Sanju Baba to play the relentless, ruthless villain to Ranbir Kapoor’s war hero in their upcoming film Shamshera. They took to their official Twitter handle to confirm this and wrote, “We've got an ultimate casting coup!​ Our upcoming action adventure #Shamshera has a roaring villain against #RanbirKapoor. It's the one & only #SanjayDutt | @duttsanjay​ | @karanmalhotra21 | @ShamsheraMovie.” We couldn’t have been more thrilled. Bollywood’s favourite bad boy Sanju has immortalised the ultimate villain on screen for years and his burly physique, deadly stare and the overall over powering persona makes him the ultimate Khalnayaak on screen. In addition to this, Ranbir Kapoor is playing the controversial actor in Raju Hirani’s ambitious biopic, Sanju, on the colourful life and times of the star. The first teaser of the movie had everyone in awe. Looking at Ranbir’s mannerisms and form as Sanjay Dutt made us all the more intrigued about the movie and now this! We really can’t keep calm. Wait until you see the first look of Sanjay Dutt as a baddie in Shamshera. The last time he exuded this effect was in Karan Johar’s Agneepath where he played the dreaded Kancha Cheena. Karan had directed Agneepath too. There is no doubt that he brings the best out of Sanjay as a villain. Speaking about the project directed by Karan Malhotra, Sanjay said that his dad, legendary actor Sunil Dutt, and Yash Chopra were very close friends and now that he doing his first YRF film, it is an extremely emotional moment for him. When he heard about Karan’s idea to pit Ranbir against him, he thought it was just brilliant. He added that he is looking forward to shooting this incredibly exciting film which is incidentally his second film with Karan after Agneepath. Also Read: Is the Ranbir Kapoor starrer Sanju trailer releasing next week?